Lextar enhances its’ rapid prototyping capability. 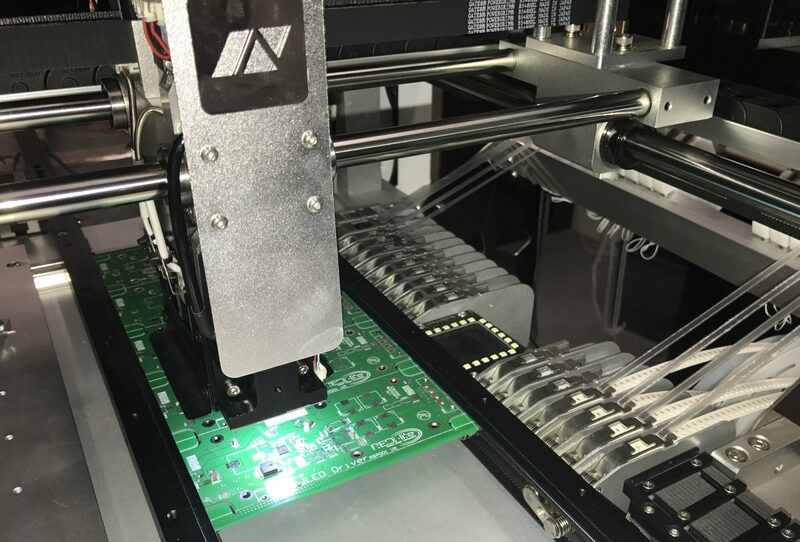 Lextar has invested in a Pick and Place (P&P) machine to enhance and accelerate Lextar’s development process and rapid prototyping capabilities. The reliance on man power, highly skilled manual assembly and soldering is now minimised. Dramatically reducing the time between design and operational prototypes or concept samples. This equipment complements Lextars existing R&D tool set, which includes 3D drawing software, schematic design and software development packages. Lextars R&D team have many years of experience and turn concept into design. Lextar promotes the strategy of innovation through collaboration. This strategy is proving to have synergy with small business, where limited resources prevent them from converting their concepts to product. Lextar’s clients are typically established, industry based, small businesses with a unique but practical industry specific concept. If you or your business would like to explore the possibilities and assess our collaborative value please do not hesitate. Total confidence is assured.